During a time of high investor activity and a disproportionate house price to income ratio, many young Australians have vocalised their concerns about entering the property market. Regardless of whether entering the property market means purchasing a principal place of residence (PPOR) or beginning an investment portfolio, it’s easy to see why many individuals worry about preparing themselves financially for the future. However, one 26-year-old has said it’s not as difficult as it might seem and that if buyers would only look beyond their own backyard at different property markets, like him, they too could begin their wealth creation efforts. Daniel Walsh told sister publication Smart Property Investment's The Smart Property Investment Show that entering the property game was “definitely" not as hard as everyone makes it out to be, and explained how a decade’s worth of research on all things property investment added to his eventual success. “I started investing in 2011 when I was about 20 years old [but] I’ve actually been studying investment since I was 16 – it took me about four years to save for my first deposit and be able to build my first house,” he began, adding that a career as an auto-electrician apprentice and a weekly income of just $250 was no barrier for him entering the market. Seven properties and a sub-divided lot later, Mr Walsh credits much of his success to research, which led him to look beyond his hometown at viable property markets Australia-wide. “Too many people live in Sydney and only look at Sydney, [but] for me, after my second house, I had to start looking at other states – Queensland, South Australia, Victoria – just because I couldn’t afford to buy that half a million dollar house anymore,” he said. 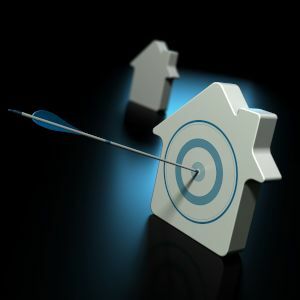 Mr Walsh concluded by saying that having a well-prepared plan and working with a team of financial professionals, such as an accountant or broker, would better assist buyers with achieving their goals. “Every day I do a plan – so six years ago, I planned for today. I have pretty much planned my property portfolio out and every asset that I put into that portfolio, I make sure it complements the other houses that I have,” he said.